Dive into tasty American fare - with a focus on fresh Florida seafood and locally sourced produce - at this ocean-inspired eatery. Ride a current of relaxation inside Wind & Waves Grill, an airy restaurant that recalls a captivating coastal bistro, complete with charming nautical-inspired décor and an onstage kitchen with an oak-fired brick oven. 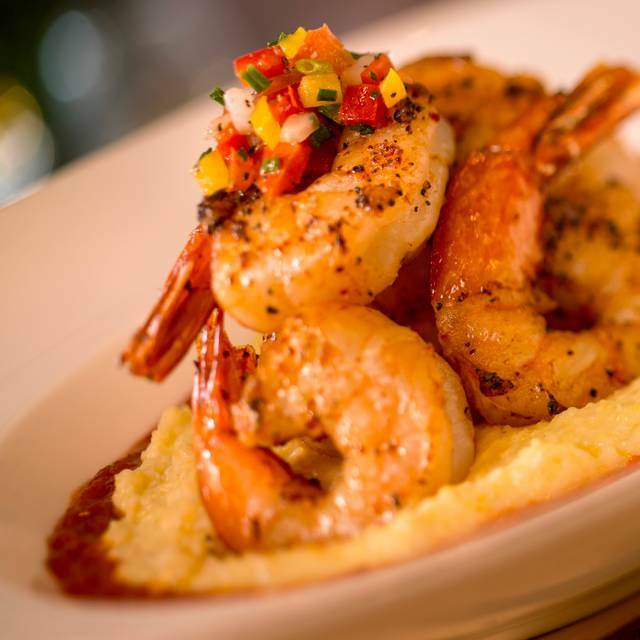 Feast on a fusion of artfully prepared seafood delights for dinner, including a Key West Shrimp Boil, Brick Oven Cioppino, or Swordfish Au Poivre. 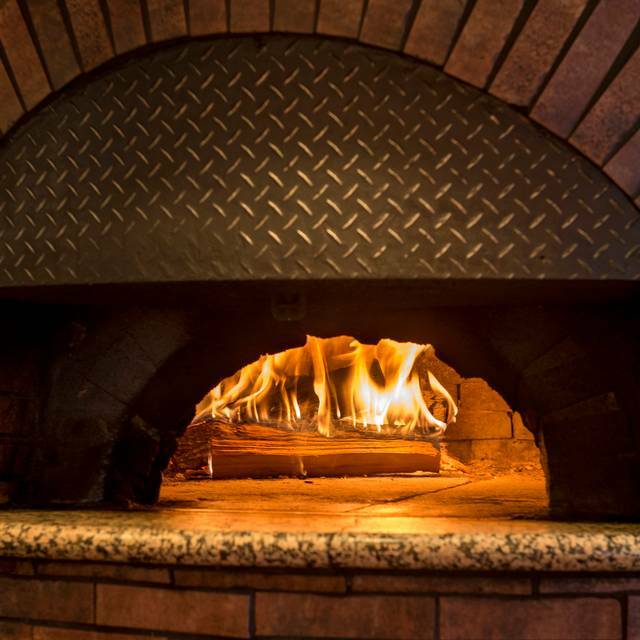 Or satiate your palate with a handcrafted flatbread. Second wind? Satisfy your sweet tooth with a confection of scrumptious Southern treats and mouthwatering kid's desserts designed to keep the wind in your sails. Food was delicious. Ordered the shrimp gnocchi. Don’t miss out on the bread basket. Menu has limited variety. Donning hall style. Needs to be updated. This is the only sit-down restaurant at the DVC Vero Beach resort. We expected it to be OK, but expensive which is generally the case for restaurants at Disney resorts. W and W was very reasonably priced and the food was good to exceptional. I had the swordfish special and it was excellent. All the dished we ordered were well-prepared. The service was warm and efficient. The wine list was short, but the pricing was fair. Overall it was better experience than the average Disney restaurant at a better price. We ate a few other places in the area and W and W held it's own. This restaurant is (relatively) small which gives it a quieter and more relaxed ambience that many WDW dining experiences in Orlando, FL. Food was excellent with respectable portion sizes. Service was attentive without being overbearing. Do not expect to Applebees prices for entrees, because this is WDW afterall - with far superior service and food quality than most chains. If you are willing to pay a little more (though nothing outrageous) for a very nice high quality meal, this is the place for you if you are staying anywhere near Vero Beach, FL. We did not stay at the hotel, but simply made a reservation at the restaurant and were very glad we did! The service and food were excellent- best meal we’ve had during our week at Vero Beach!!! Service was unbelievably slow and the order was incorrect when it arrived. This was a pleasant dining experience. They paid no attention to Open Table. They just took our word for it when I showed them the reservation on my phone. Service was slow but our server was pleasant, when she could be found. She would often disappear for long periods of time. Food came out slowly and not at same time. I didn’t get my soup until everyone else had finished their first course. And then it took nearly 5 minutes for them to get me a soup spoon (all I had was a fork and a knife). Food was not hot. Onion soup was not consistent. One had lots of melted cheese, mine had barely any. Fish and Chips had absolutely no taste. French fries were average. Chicken on salad was not seasoned at all. We were told their chef had resigned and the sous chef was trying to handle everything. I would recommend staying away until they get over this hurdle. We were staying at the resort and we love Disney, but this meal was not up to Disney standards. Wonderful. Attentive service and excellent food. They did a great job with options for a food allergy. After waiting 20 minutes to be seated with our confirmed reservation, we had the pleasure of being served by Muriel. Friendly and helpful. Ambiance was very casual but OK. Food was OK. Prices a bit high for the casual venue. Will not go back. It was nice to be able to get a table when we wanted. We enjoyed the evening and food, drinks we’re expensive but good. There are lots of restaurants I would recommend before this one. Excellent place to have dinner. My wife and I actually ate there two nights while staying at Vero Beach, and the experience was equally impressive both nights. Bar was maybe a bit below average - we couldn't get them to figure out reposado tequila for a margarita one night, the other night hey made a great margarita. Be careful ordering appetizers and mind the bread service (served with butter to which your server will hand-sprinkle your choice of sea salt)- only because entree portions are large and you want to save room for dessert. Salad was good, conch chowder was good, french onion soup was average. My wife is not inclined toward seafood, so she had pot roast one night and a pork chop the next. As noted, large portions - the chop was a nice, thick double chop. Everything is served with a substantial portion of side dishes, and they were more than willing to substitute for personal preferences. Her entrees were both cooked to perfection and her preferences, with tasty sauces and seasoning. Presentations were very attractive and appetizing. I had swordfish one night and halibut the next - both were specials and not on the standard menu but whatever seafood specials they offer are likely in the same category - excellent! Both were grilled perfectly, seared on the outside, hot and juicy on the inside. Fresh and tasty. Both served with couscous and a little salad mixed in. The swordfish had pesto underneath it so it wasn't overwhelming. The halibut had cauliflower hummus which was really good. Again, very large portions. All four choices were excellent - absolutely would order again. For dessert we had the same thing - twice. 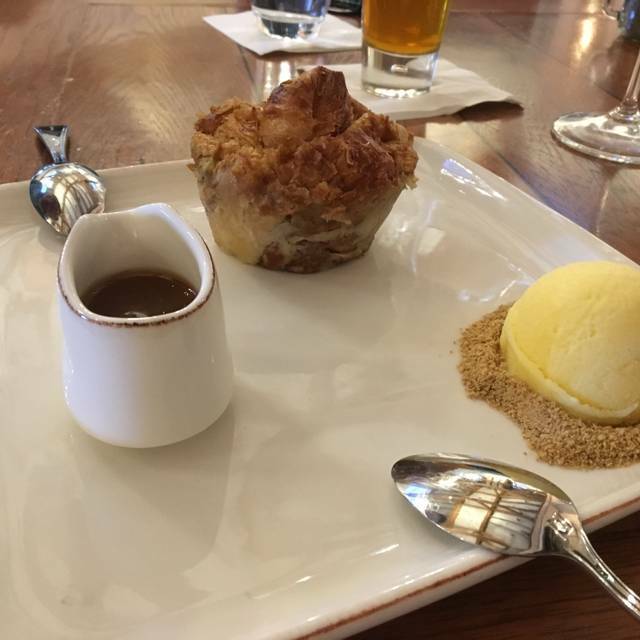 We shared a no-sugar-added pumpkin cobbler, served hot with rice vanilla ice cream. Don't let the "special dessert" fool you, it was really good and definitely big enough to share. There have been a number of restaurant changes at Vero Beach unless you've been there in recent times. 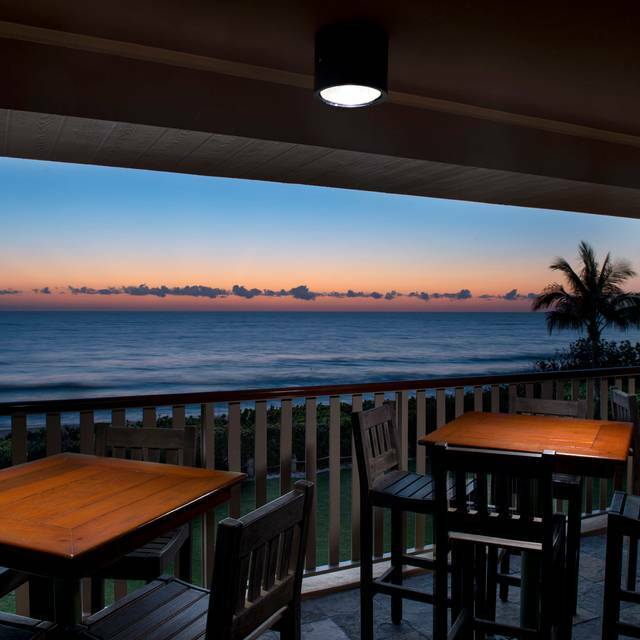 Wind & Waves Grill is now the finer dining, dinner restaurant. A reservation is recommended depending on what time of year you're there. The Menu is varied enough to suit any palate. The children's Menu is also varied and nicely done. It's nice to have an above average Restaurant on the premises. You do not have an ocean view, but it's only a few steps away. The chef was incredible the night we were there. I had my elderly mother and she really wanted fish and chips but she needs a gluten free diet. He made her batter specially and pan fried her meal separately. She said it was delicious and it was nice for me to see her so pleased with dining out. I booked my reservation on Open Table and the same day and there were many open time slots. When we got to the restaurant at our res time, we were told that there were 7 parties ahead of us. It is obvious that they overbook this restaurant. We waited 15 minutes with several other disgruntled parties before we gave up and ate in the bar upstairs. I am a huge Disney fan and was very disappointed that we did not get the service I expect. Great Breakfast Options. Omelet was Delicious. Must try the Orange Oatmeal Bread. Lisa was a Wonderful Waitress. Ordered the chicken and waffles. The chicken was extremely dry. Almost as if it was heated up again after being deep friend. Made it through one piece and couldn’t finish the rest of the chicken due to it being so dry. Food was mediocre, service was slow but adaquite overall very blasee. Won't eat there again. Just not worth it. I have been coming to Disney for decades and this was my first trip to their Vero beach resort. The experience at Wind & Waves is Disney plus. Peace and quiet in a beautiful setting with divine food and service. I have a few dietary restrictions and after a great table-side conversation the chef turned them each into a customized, exquisite culinary experience several nights in a row. Family friendly, but with lots of space for a couple or single traveler to not feel overwhelmed. A very special part of my very special quiet Disney experience. Nice staff. Convenient location. This restaurant is loud, like a cafeteria. The menu is limited and too expensive. Incredibly slow service. 2.5hrs for a basic meal, no dessert. Plates left on the table for 30min after we were done. Worth our drive 30 minutes south of our home. We always take out of town guests for the best brunch in our area. Excellent experience. Fantastic food and fantastic staff. Would recommend. The resort area itself was well decorated, clean and typical of a Disney owned resort. The restaurant itself felt slightly cafeteria-ish with its decor, lighting, and even how the wait staff was dressed. The food was good, but not memorable. The service was formidable and the wait staff were attentive. The resort itself is in a nice location and is quiet and feels pretty exclusive. Fantastic service we love the beat salad but both of our New York strip steaks were very tough which was disappointing because of the price. Enjoyed the meal, room, and the wait staff, especially Kathy. They made my birthday special. Food was great. Service was fine, but not what you would expect for a Disney restaurant, server didn’t explain a thing and didn’t know much when you asked questions. We did really enjoy the food though! Went for our anniversary. Have eaten at many Disney restaurants from moderate to high end. Was a enjoyable night. Food and service were very good. Chef Anthony was extremely personable. He wandered table to table to talk to guests to make sure that their selection would be made to their personal preference. He had several suggestions for our family which included a low salt, low sugar diet. We loved watching our meal being cooked on the fire! The baked goods here are fabulous and I should know because I am a baker! All the breakfasts are delicious and plentiful. Always leave with a doggy bag. The pineapple marmalade is a must have. The staff is so friendly and attentive. Love going here! Food was excellent. We ate here our 1st night at the resort and then opted to eat here again our last night as opposed to driving off property. Small restaurant, was not accepting walk-ins. Food was delicious and service was great! Nice ambiance. The food was excellent although a bit high $$, especially when a glass of red wine cost $14.00. The service was great. Everyone is so friendly. A nice way to treat yourself while on vacation.